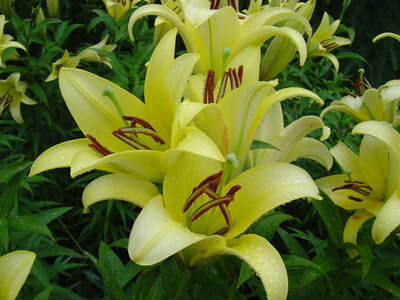 At Earthbound Gardens we're known for our selection and quality of lilies. We grow thousands of them every years and invite you to visit and wander through our Lily Greenhouse. Here are a few of our favourites available to you this year. 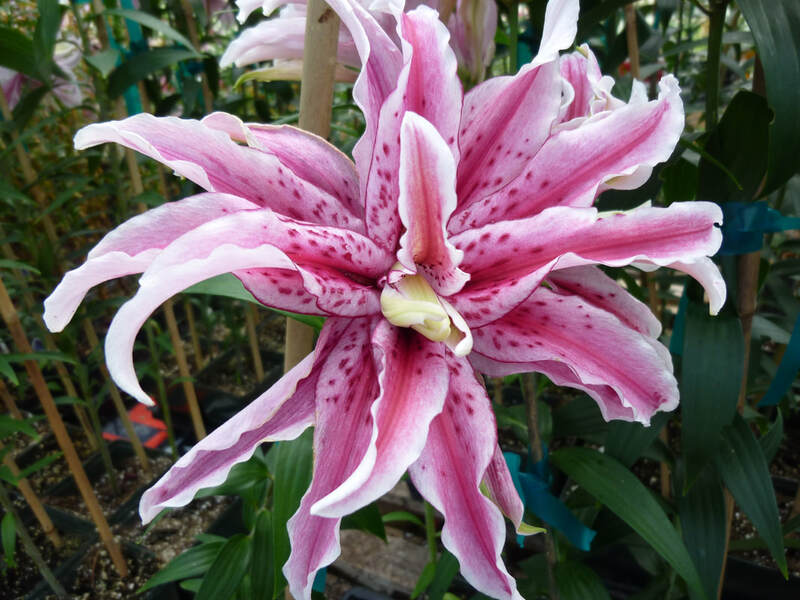 You can purchase some at our various shows as bulbs in the spring, or bring home pots of lilies in bloom or in bud at Earthbound. 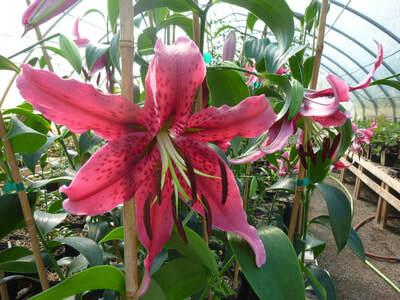 A sweet little Pot Asiatic lily, Matrix has to be one of our most popular varieties each year. Growing only to a height of around 16", it's perfect in the front of the garden, along a border, or (as the name suggests) in a pot on the deck. 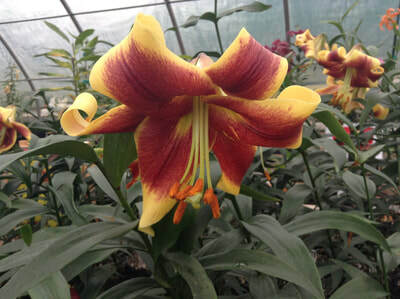 If you want to continue the blazing colour theme, plant a few Royal Sunset lilies behind Matrix. Any bets for 2018? Stay tuned! 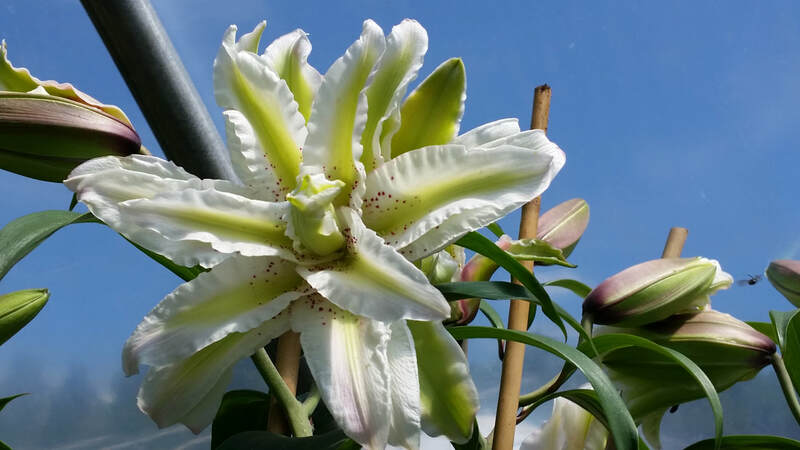 A Greenhouse full of lilies! 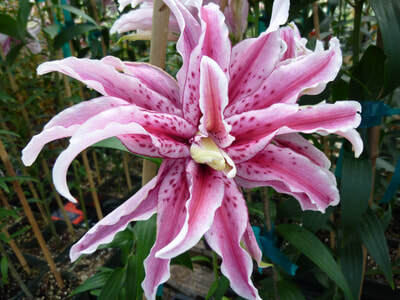 Once the snow is off the greenhouse and the soil has defrosted we're planting lily bulbs. Every year we plant thousands of old favourites and new varieties of lilies to tempt the most discerning gardener. 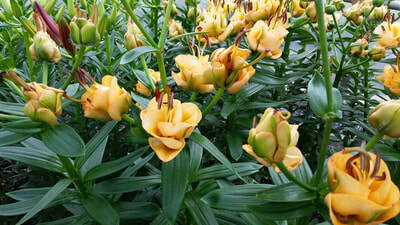 The lovely thing about growing a variety of lilies is that we have different ones blooming from June right through to September. Earthbound greenhouses and gardens is home to a fine collection of Asiatic, Oriental, Orien-Pets ("Tree Lilies"), Trumpet, martagons and a variety of species lilies - including wild lilies native to Ontario. Visit us and enjoy a treat for the senses!